Chavanga Fish Blog: In memory of Jos Vanrunxt. 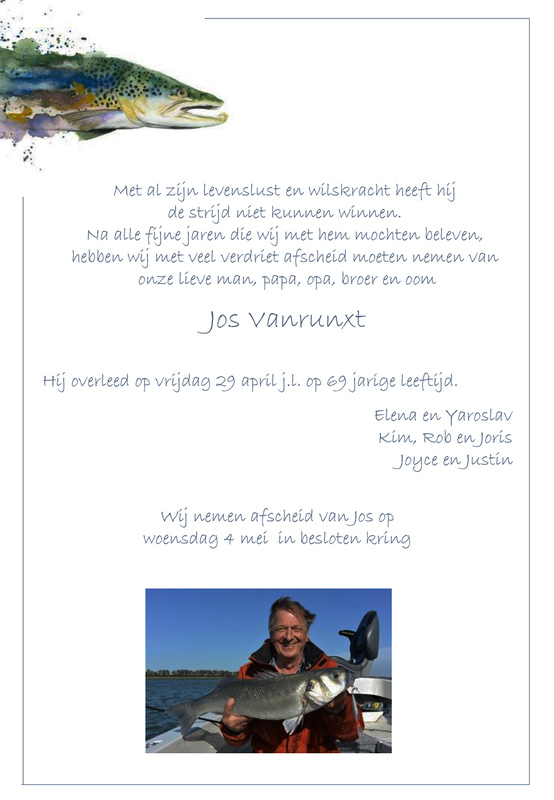 In memory of Jos Vanrunxt. We want to inform you that our lifelong friend Jos Vanrunxt left us forever. Jos has lived positively until the last day, we were still working together on a Russians projects. Jos was a pioneer in flyfishing, filmmaking, writing and has introduced and inspired many to flyfishing. He also opened affordable flyfishing travel to his beloved Russia for many of us. Jos at the dinner room, Chavanga 2012. Jos and Hans, Chavanga river spring of 2012. I took him back in 1974, to his first flyfishing stream in Austria. The Pielach and the Salza a week later. Countless fishing trips and days would follow, of which many in a Dutch protected area, the waters of Ankeveen. The Umba in Kola and the Gaula in Norway. We fished the Gmundner Traun with Roman Moser and produced a series of films. But also with his father in law in Germany fishing the Kyll and the Prüm together with Cor van Beurden. We lost track of eachother in 2003. Rest in Peace buddy. Thight lines and all that. Can't imagine that you're not with us anymore. Jos, always attentive, funny and generous! You could carefully prepared and tirelessly fillet the best salmon for your friends. Always with your natural smile. Always with an interesting story! Still miss you everyday Jos. At the point to travel with my son to our former fishing grounds during the last week of september 2016. We will pay tribute to you on the banks of your favourite river, the river you started your flyfishing carreer: the Pielach. With an enormous bush of flowers and a huge bottle of champagne. Never forget you and thanx for everything.